It’s not often that a great city council candidate comes along like Alison Cormack. 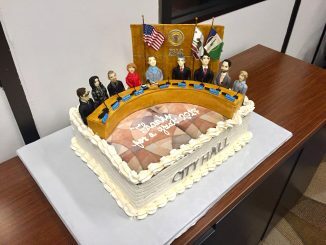 She’s the Palo Alto woman who led the campaign a decade ago to rebuild the city’s library system. Cormack is sharp, competent and well versed in city issues. She has assiduously avoided joining either faction that has divided council. That puts her in a good place to deliver on one of her goals, getting the council and residents to work together. Her other goals are focusing on project outcomes (important since the city is building a new parking structure, will soon embark on a new police station and has to get going on the rail crossings) and improving communications with residents. We’re lucky she’s in the council race, and we strongly endorse her. The other newcomer in the race, Pat Boone, has lived in Palo Alto just two years and doesn’t know a lot about the issues. He’s a nice guy and if he is truly interested in civic affairs, should become an active volunteer in a local organization and apply for boards and commissions to get a good grasp on the issues confronting Palo Alto. That brings us to the three incumbents. There are three seats available on council this fall, and with our endorsement of Cormack, we can only recommend two of the three. Here’s the problem. When you look at traffic, housing affordability and the disappearance of small businesses, the city is worse off than it was four years ago. There haven’t been many notable achievements by this council. And we’re years behind Mountain View and Sunnyvale when it comes to making decisions about rail crossings. Council didn’t get serious about affordable housing until earlier this year. Of the three incumbents, Eric Filseth and Tom DuBois are part of the slow growth, Residentalist camp who regularly vote with Lydia Kou and Karen Holman. The third incumbent up for re-election, Cory Wolbach, votes with the other faction that includes Liz Kniss, Greg Scharff, Adrian Fine and Greg Tanaka. Of the incumbents, our first choice is Eric Filseth. He brings a thoughtful and analytical approach to council. Filseth stands out because of his constant push to rein in the city’s pension liabilities, which will become an increasingly serious problem over the long term as payments to CalPERS escalate. He’s pushed council to take concrete steps to deal with this issue, such as accurately stating the city’s liabilities rather than relying on unrealistic figures from Sacramento. And now the city is putting money aside in a fund to ensure it is able to meet its liabilities in the long run. Much more needs to happen on this front, but Filseth’s realistic approach should be applauded by every resident. 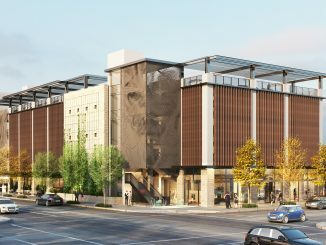 With his vote in favor of the housing overlay that will hopefully pave the way for Palo Alto Housing’s Wilton Court development, we’re optimistic that he will be more receptive to housing. Of the remaining two incumbents, Tom DuBois has the edge in our view, though it is a close call between him and Cory Wolbach. We’re disappointed that during the year DuBois headed the council’s rail committee, the city made little progress in its decision making about rail crossings. Yes, we’d all like to have a tunnel, but that’s not realistic given the cost. So we’re left with a number of unpleasant options, such as blocking off streets, digging a trench (which would require putting the tracks on Alma Street for three years) or building bridges that will require the acquisition of land around them. DuBois had a chance to take the lead on resolving this issue and didn’t deliver. But we like DuBois’s call for converting office space to housing, which would reduce the housing-jobs imbalance and address the scarcity of housing. He also was a “yes” vote on the Wilton Court overlay. DuBois is a sure vote against the kind of excessive projects council was approving before he got on council in 2014. The incumbent we’re not recommending is Wolbach. He got elected four years ago saying he would promote more housing, but little was accomplished. He’s into every political fad that comes along, though, whether it’s proposing a tax on sugary beverages, raising the minimum wage (a needless effort in a town where just about everybody pays well above the minimum) to divesting the city from fossil fuels. These things represent a kind of virtue signaling that we think the city government should avoid. We get the feeling he is auditioning for higher office. To recap, we enthusiastically endorse Cormack and, given the lack of alternatives, also recommend Filseth and DuBois for City Council. I have seen some highly inaccurate articles by PA Daily Post in the past, but this one takes the cake. Councilman Wolbach has been the most forward thinking promoter of housing in Palo Alto. Not only has he promoted ADUs, but his continual logical and collegiate approach has led to some incredible success that could not have been fathomed before he joined the council. There is nothing farther from the truth than to say otherwise. I am disappointed in the Daily Post for not just an inaccuracy, but a target at a young council candidate who is so clearly the hardest and most dedicated housing advocate on the Palo Alto City Council. “Promoting ADUs” is meaningless. The state changed the law that makes them easier to locate, all the city did is go along with state statutes. I don’t see anything Cory accomplished in the last four years. The Post editorial is spot on. Promoting housing is a good reason -not- to vote for Wolbach! No on Wolbach. Wish we could replace all of the incumbents, but not many people signed up. Cory is pro-development. If he loses, the pro-developer wing on council will no longer have the majority. I’m not voting for him. I agree with the no on Cory Wolbach but I wish I knew more about Cormack. Her mailer and her priorities page on her website are painfully thin on details. If she wants resident’s votes, she needs to be more clear on her goals and priorities. These thin platitudes are insufficient for the public to make an informed decision. Wolbach totally ignored parking problems related to the ADUs he rushed through. When pressed at a City Council meeting, he gave it 45 seconds of thought and then advocated having spillover parking on FRONT lawns also known as front setbacks. He doesn’t think through the issues and now he’s pushing ADUs for the FRONT lawns. What’s next? Washing machines on porches to complete that Appalachia look? Re Cormack, I’d dearly love to hear something substantive from her. Her main achievement was the library project which had huge delays, cost-overruns and scant attention to human factors. Vote ABC — Anyone BUT Cory and Cormack. 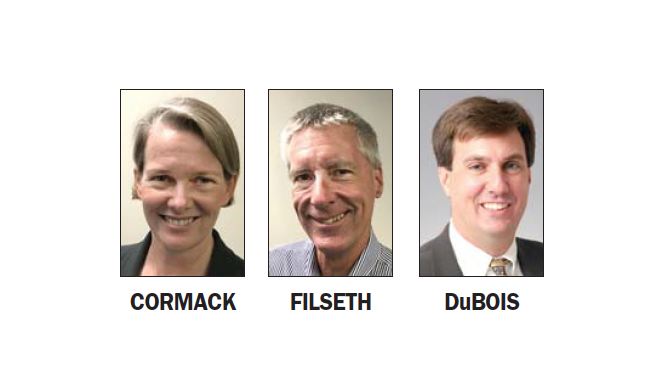 It’s amusing to see that the other paper in town followed the Post’s lead and endorsed the same candidates for council. In their editorial, they emphasized the disagreements at the council meetings. I think it’s helpful to have disagreement and I’m glad the council doesn’t walk in lockstep on every issue. 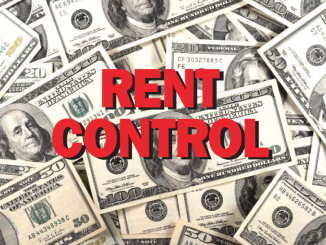 The other paper was trying to shame the pro-housing side of council (Kniss, Fine, Tanaka, Wolbach, Schraff) without putting any of the blame on the anti-housing council members (Kou, DuBois, Filseth and Holman).